This is an enjoyable walk over the main peaks in the Moelwyns, those being Moelwyn Mawr and Moelwyn Bach. It involves a walk up a disused incline, before gaining the grassy slopes of Moelwyn Mawr and onto the rockier Moelwyn Bach, before walking back down the road from the Stwlan Dam. 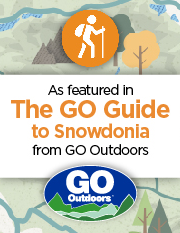 The only disadvantage is that both the Snowdonia and Harlech maps are needed to cover the walk. Transport to the beginning is best by car to Tanygrisiau or Ffestiniog, unless you are able to get the train from Llandudno Junction, which is an enjoyable ride through. Start from the minor road at GR 684452. From the small car park turn left, and make your way up the road which leads to the Stwlan Dam. We do not stay on this for long however, and soon you will see a disused incline on your right. You should make your way carefully up this. If you stop to look back you will be able to see down to Ffestiniog and the slate quarries. You will pass through a tunnel, and when you come out the other side you should bear round to the left. There are several old quarries, some of which can be carefully explored through their cave entrances. Make your way up to the East and you will reach the summit of Moel yr-Hydd. From here you can see Cnicht to the North-West, looking quite different from the view of it which you get looking from the other side. To the South-West is the long grassy slope which will take you up to Moelwyn Mawr. Follow this to the summit. In the dip between the two summits, take the time to look at the deep hole which used to be used for mining, but again take care. This is the highest point of your walk, and to your South is the summit of Moelwyn Bach, the final mountain on this walk. We head off to the South, towards Bwlch Stwlan. The descent is quite steep. When you reach the Bwlch take the path ahead of you which goes up the rocky side of Moelwyn Bach. From the summit you can see over to the coast, and in good visibility Criccieth Castle can be seen. Also look back towards the peak of Moelwyn Mawr from where you have come. Descend the same way to the Bwlch, and make your way down to the Stwlan Dam. Cross it, and then simply follow the road back to your starting place.